Welcoming our two Lasallian Volunteers to San Miguel High School. Ms. Bowers (3rd-year volunteer) Ms. Mattox (1st-year volunteer). Welcoming our new English teacher and former Lasallian Volunteer. 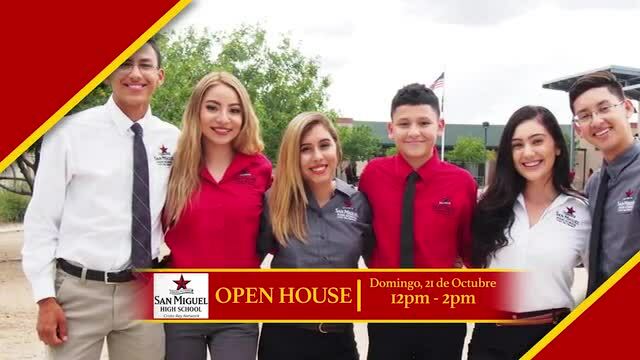 San Miguel High School is bringing the Lasallian mission alive with faith, service, and community! Welcoming our ACE (Alliance for Catholic Education) Religion Teacher to San Miguel High School for the 2018-2019 school year. Welcoming another full-time college counselor for San Miguel High School students! Strengthening our mission of getting our students to and thru college. We introduce you to Ms. Markle. Meet our new Math teacher and former San Miguel High School student - Mr. Andres Ramirez! Welcome back to San Miguel Mr. Ramirez.